Your privacy is important to Nedal Aluminium BV, and we are committed to protecting your personal information. We may update this notice from time to time to reflect changes in the way we process personal data (e.g., if we implement new systems or processes that involve new uses of personal data) or to clarify information we have provided in the notice. Our changes will be in accordance with applicable Data Protection Laws. Current version is 1.1, release date 26 July 2018. If you have any concerns or questions that cannot be answered by this notice, please contact us by using our contact details listed under the ‘How you can contact us’ section below. 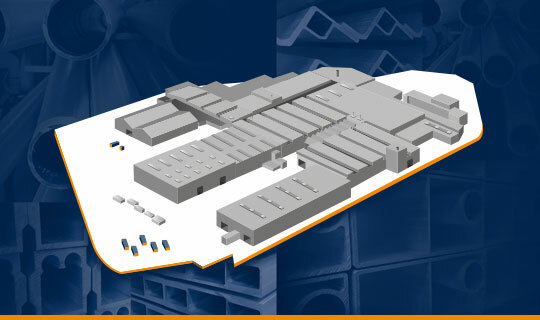 Website and other digital platforms are managed by Nedal Aluminium BV. We will collect personal data that you provide us via our website, through our contact form, when you subscribe to our newsletter, make use of our download centre, etc..
We also collect data about you by using cookies for optimizing the website and to analyse website traffic. If you wish to know more about cookies, the way we use them and how to delete cookies, please read our cookie notice. Personal data collected through our website is used for the purposes for which they were provided, as listed below. As an example, if you make use of our contact form or provide your data to get downloads, we will use the data provided only to respond to your query and/or send the content you asked for. You are not obliged to disclose your personal data when you purchase a product or service from us. At all times, you have the choice not to share your personal data with us. However, in order to be able to provide you all features of our products and / or services, we might be dependent on you disclosing certain personal data to us. If you choose not to provide us your personal data it might not be possible to provide you the products and/or services you wish for. In accordance with this privacy notice and as permitted by law, Nedal Aluminium BV may use third parties for certain services. As far as third parties use your personal data for carrying out their services, they have the permission of Nedal Aluminium BV and Nedal Aluminium BV has taken all the necessary technical and organizational precautionary measures to ensure that your personal data is only used for the purposes mentioned before. Nedal Aluminium BV does not sell personal data to third parties, nor will it give your personal data to third parties, other than as specified above or on the basis that we are obligated by law (e.g. in the event of a lawful request by a court or law enforcement authorities). Nedal Aluminium BV will only retain personal data for as long as this is reasonably necessary related to the purpose of processing and will delete such data afterwards or render it anonymous. In determining the appropriate data retention period, Nedal Aluminium BV will also take into account specific data retention obligations arising from other laws than the GDPR, which laws may prohibit the deletion of data before expiry of the minimum retention period. In case certain personal data is needed for a legal claim or other legal issue, Nedal Aluminium BV will retain this data as long as that issue is ongoing. Nedal Aluminium BV has taken measures to protect your personal data from being stolen, lost or used in any way that is not in line with the purposes for which the data was collected. We work with secured networks. At any given time, you can file a request to access, correct or erase your personal data. Furthermore it is your right to request the limitation of processing your personal data, and, if applicable, to object against further processing thereof and/or request porting of your personal data to another data controller. You can exert your rights by contacting us by using the contact details listed under the ‘How you can contact us’ section below. Finally, at any time, you can also file a complaint with the Autoriteit Persoonsgegevens. This Privacy Notice was lastly update on 28 June 2018. Please contact us. We are happy to serve you.